Inaugurating the agenda of 2019, the “Year of Celebrations”, Bahrain Authority for Culture & Antiquities, is set to launch the 45th Bahrain Annual Fine Arts Exhibition in February 2019 at the Arena, Ritz Carlton Hotel-Bahrain. This most-waited event is held annually under the patronage of H.R.H. Prince Khalifa Bin Salman Al Khalifa, the Prime Minister, since its inception in 1972. This edition marked an outstanding rate of participation, between artists and amateurs, exceeding 300 applications covering various artistic disciplines, such as paintings, sculptures, photography, installations, video art, multimedia, and more. The exhibition will also highlight the works of the Pioneers of the Bahraini art movement. 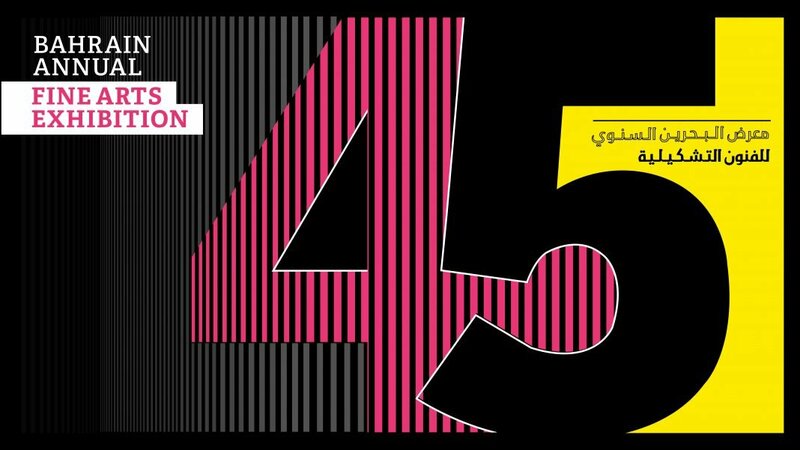 What is considered to be the biggest and most significant annual meeting for artists in the Kingdom of Bahrain, the 45th Bahrain Annual Fine Arts Exhibition now expands to host two of most prominent galleries in the Arab World; Athr Gallery (from the Kingdom of Saudi Arabia) and Agial Gallery (from Lebanon). The participations of these galleries will enrich the visitors’ experience and present artworks produced by Arab artists from the Arab Gulf region, Middle East, Egypt, Sudan and North Africa region. In addition to the visiting galleries, the 45th Bahrain Annual Fine Arts Exhibition will also host the two major Art Houses of Bahrain; AlRiwaq and AlBareh Gallery, to celebrate their legacy and role in shaping the art scene in Bahrain by holding solo exhibitions for Bahraini artists, offering residencies and professional workshops and exchanges within the region and internationally.